The World’s Best Cuisine Presentation from Michelin 3 Star Chefs at Le Cordon Bleu-Sookmyung Academy! at Le Cordon Bleu-Sookmyung Academy! Le Cordon Bleu-Sookmyung Academy hosted a Chef Summit which is called ‘Culinary Master Class’ with four of Michelin 3 Star Chefs on both May 2 (Tue) and 3 (Wed), 2017. Following from last year, Le Cordon Bleu-Sookmyung Academy took part in the Seoul Food Festival 2017 (www.seoulfoofest.co.kr) again this year which TV Chosun hosted. This time around, the Seoul Food Festival has invited the world class chefs into the Le Cordon Bleu-Sookmyung Academy to introduce their technique and cooking styles to the public and culinary professionals. On May 2nd, first day of the event, Chef Jacob Jan Boerma who’s a Michelin 3 star and the most famous Chef in Netherlands started off the Master class. 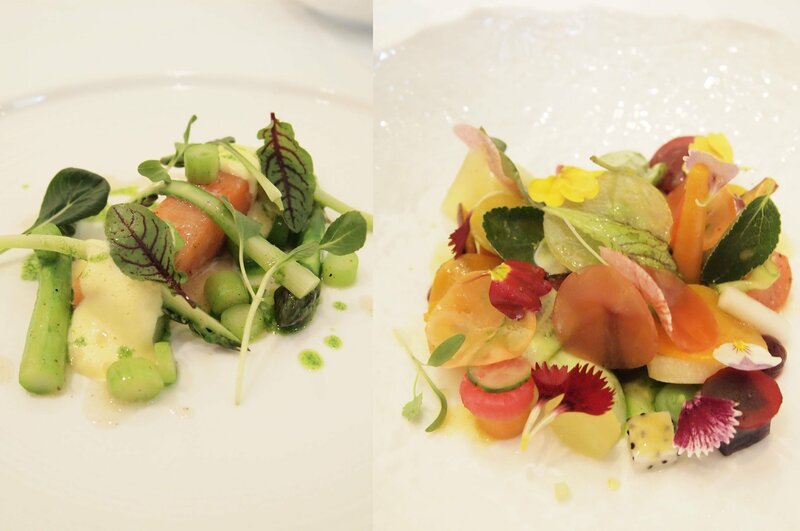 With his theme ‘Cuisines with natural flavors and aromas of seasonal ingredients’, He presented Garden salad with various herbs and spices and seasonal vegetables as well as Dutch Asparagus dish with smoked salmon and apples which earned the hearts of the audiences. Especially Chef Boerma Garnered attention from the audiences by making the garden salad with herbs and flowers he picked by himself in suburb area of Seoul in that morning. He showed various ways of trimming salmon in Dutch style and sous-vide recipe for tenderness and moisture texture of salmon. 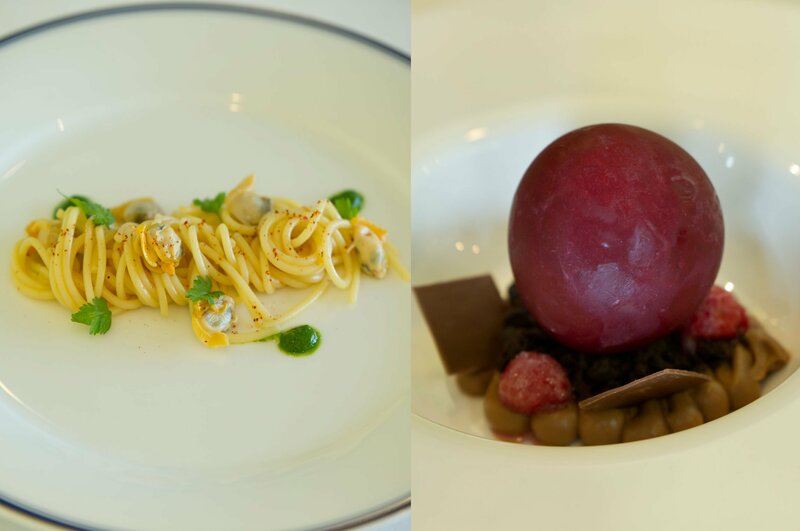 On May 3rd, 2017, a Michelin 3 Star Chef Heinz Beck who is famous for reconstructing the Italian Cuisine, made a Spaghetti with Venus clam and Parsley Sauce and Ice Sphere made of Raspberry with Tea Cream. He introduced a cooking method using tomato stock which doesn’t have red color even though the main ingredient is tomato. This method is useful to show colors of other ingredients rather than showing the red color of tomato only. The other dish was a signature dessert from his own restaurant, an Ice Sphere made of Raspberry with Tea cream. It was a wonderful experience for the audiences and was also an opportunity for them to taste a Michelin 3 Star Restaurant’s signature menu. Also a Michelin 3 Star Chef, Alvin Leung from Hong Kong who is became popular with a TV Cooking Show “Master Chef Canada”, introduced a fusion dish of traditional Chinese and Korean cuisine. In the demonstration, he introduced Kimchi Ice Cream, Mung Bean Pancake inspired soup and Avalon Bi bim bab which were thoroughly reconstructed into a style of Bo Innovation, Alvin Leung’s Restaurant in Hong Kong. As a Michelin 3 Star Chef who has a high level of knowledge in various ingredients from all over the world, Chef Alvin Leung created a total new taste. 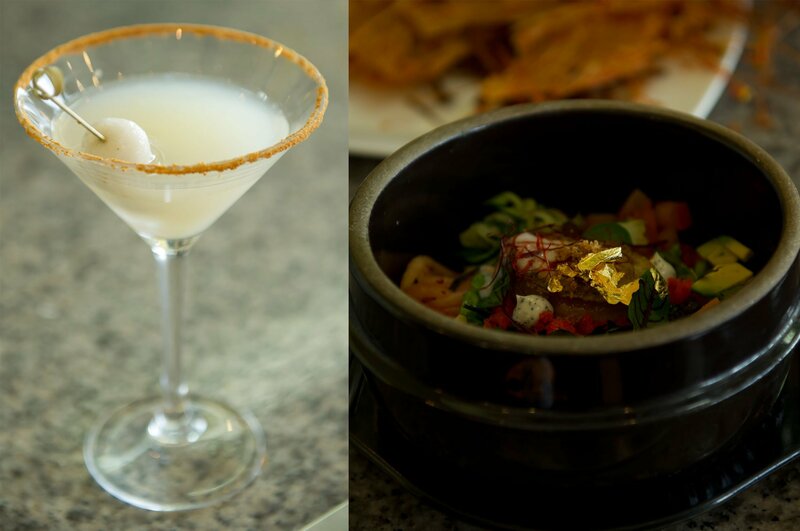 From a Sam-Gye Tang Martini using chicken stock, date powder, ginseng and gin (liquor) to a molecular cuisine using white kimchi, he create a buzz for the audience by making cross-national dishes. A German Michelin 3 Star Chef and a Celebrity Chef of Farm to Table, Chef Thomas Buhner introduced a Healthy Oat Ice Cream with muesli and parsley under the theme of ‘an aromatic dish maximizing the flavor of the ingredient’. The dish was also reconstructed into a healthy taste of the nature itself with new texture. 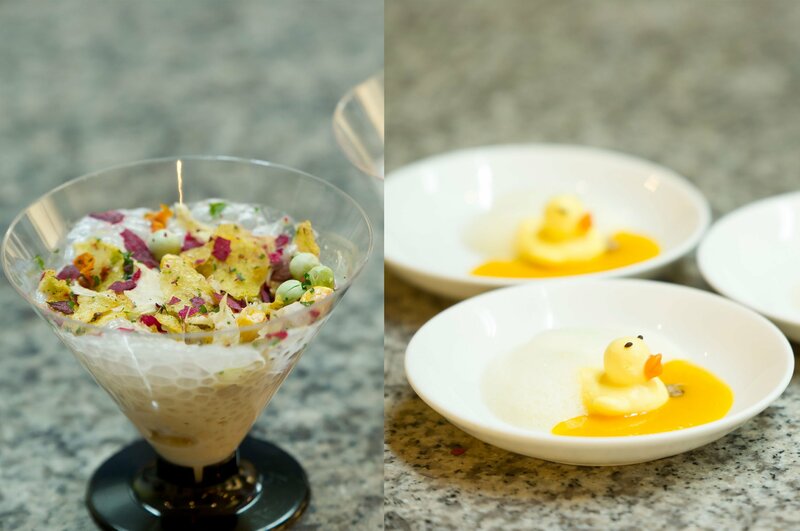 He also showed how to make the Fluffy Duck which is a signature menu of his restaurant, La Vie. 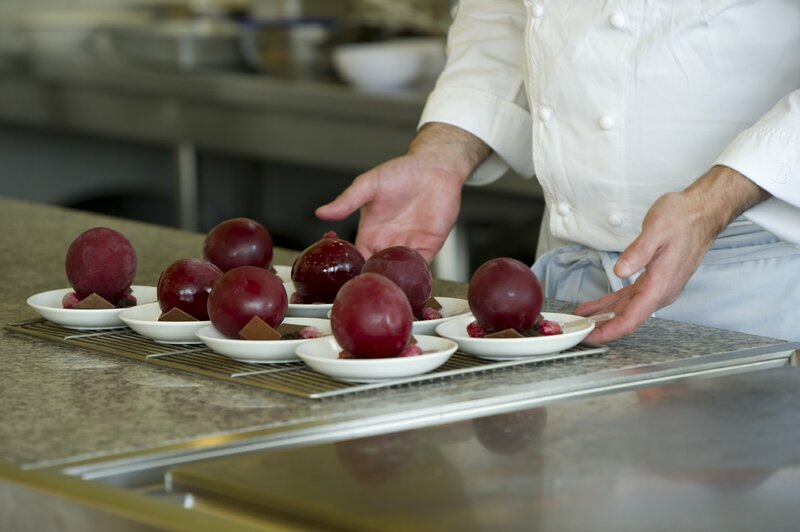 In this Master Classes, audiences had a precious opportunity to taste the dishes of a Michelin 3 Star Chefs including the signature dessert of Chef Heinz Beck and 2 dishes of Chef Thomas Buhner.